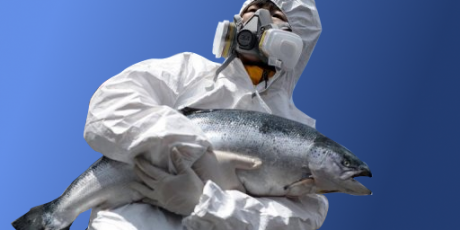 As global consumers, we ask you not to approve AquaBounty’s transgenic salmon for human consumption. Genetically modified fish pose a real threat to natural marine species and the long-term effects of consuming transgenic meat have not been sufficiently researched. Worse, FDA's approval of transgenic salmon could open the floodgates for genetically modified animals worldwide. We ask that you reject its approval. The US is about to treat the world to the first genetically modified meat: a mutant salmon that could wipe out wild salmon populations and threaten human health - but we can stop it now before our plates are filled with suspicious Frankenfish. The new fake salmon grows twice as fast as real salmon, and not even scientists know its long-term health effects. Yet it’s about to be declared safe for us to eat, based on studies paid for by the company that created the GMO creature! Luckily, the US is legally required to consider public opinion before deciding. A growing coalition of consumers, environmentalists, and fishermen is calling on the government to trash this fishy deal. Let's urgently build an avalanche of global support to help them win. The consultation is happening right now and we have a real chance to keep mutant fish off the menu. Sign to say NO to Frankenfish and share widely -- when we reach 1 million, our call will be officially submitted to the public consultation.